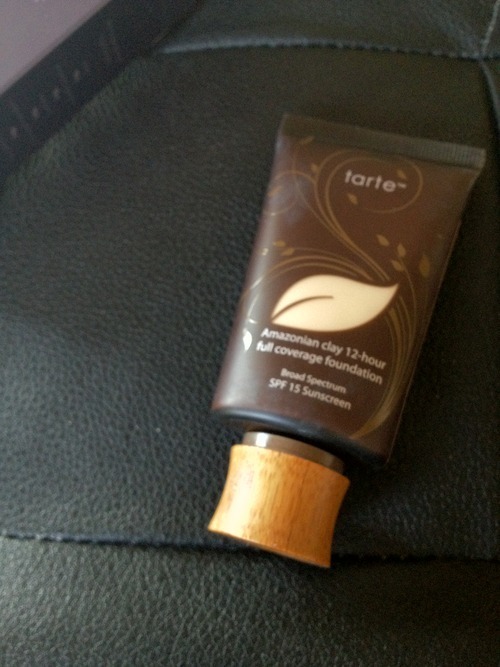 I’ve talked about Tarte’s foundation before when I answered a tumblr message here. Tarte is one of those beauty companies that I consider similar to a makeup line equivalent of Origins – relatively expansive, try to use ‘better’ ingredients, moderately priced, found in similar distribution channels. 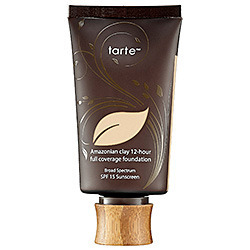 Although I try mainly to discuss niche, high-end products on this blog, a good product is a good product and their Amazonian Clay 12 Hour Full Coverage Foundation is one that I’ve found myself picking up more and more. I tend to think of this as an alternative to the MakeupForever HD Foundation with skin-friendlier ingredients. This really helps people pick in a busy store such as Sephora, the product is Cruelty Free, and has “Skinvigorating Ingredients” such as Hyaluronic Acid – a key skin plumper that draws moisture in, Vitamin E – an antioxidant that makes skin smooth, and Amazonian Clay which helps balance oily skin. The foundation itself is housed in a plastic tube with wood top base which I thought was ‘charming’. It is different from the usual high-end foundations I’m used to such as the frosted glass from Koh Gen Do, but I can appreciate the durability of this packaging. 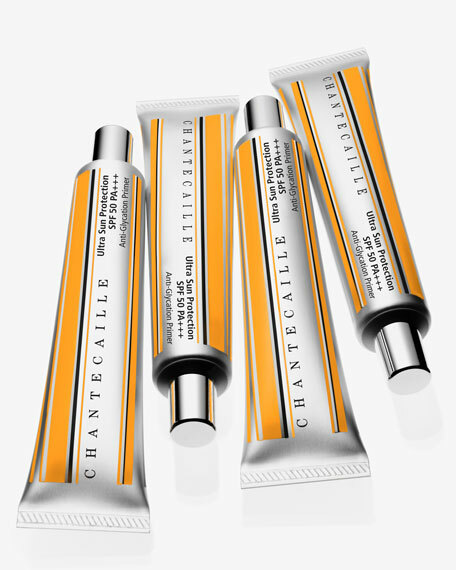 So right off the bat – my skin type as many of you know by now is sensitive, blemish prone- combination (oily to dry areas) – so I basically don’t have easy skin to work with. I found that this foundation was actually a great ‘balance’. I am able to wear this for around 6 hours without any issues or need for touch up, but I don’t think 12 hours on one application is achievable. I found that the foundation itself is not drying or oily at all, and balanced my skin nicely – but this is also because I’m experienced with knowing how much to put on based on the “weightiness” of the foundation. 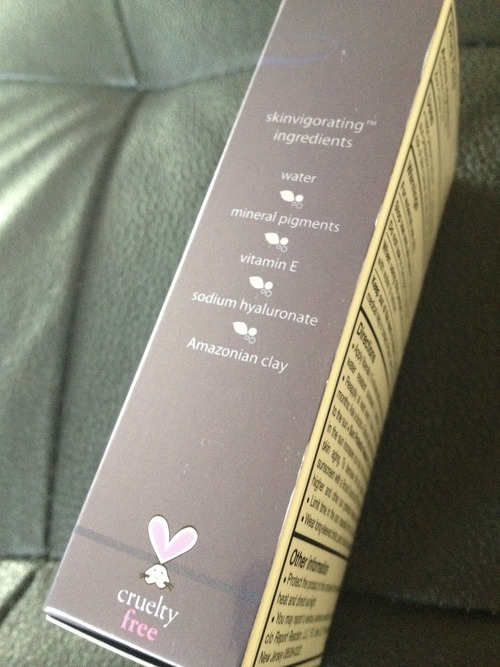 A few friends who have tried this foundation said it showed up dry patches or felt “heavy” and cakey. That’s the other thing – you don’t need that much of this foundation to achieve a decent medium coverage. A pea sized amount is suitable for giving a decent coverage, and you can build up afterwards on the trouble spots. The above is how much I use on my entire face for a “2nd skin with decent coverage” effect, using the Shiseido Perfect Foundation Brush. The foundation itself is best described as an airy cream. It is pretty light and blendable but definitely adequately pigmented. 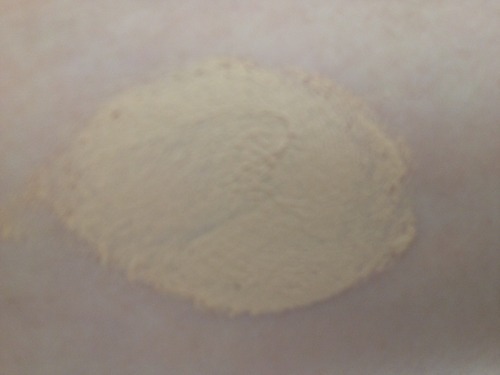 This is definitely a good foundation for covering light scars, blemishes without making it look cakey. I’ve always been the type to wash my face as soon as I get home if I’m wearing makeup, and I sometimes just feel that this product is a little heavy on pores so I use the Vapour Organics Clarity Cleansing Oil to remove all product before I use a normal cleanser. Afterward, I also douse my skin in YULI Panacea Elixir to make sure my pores are decongested and clear. I think this product really requires you to make sure your pores are clean otherwise it could potentially be a pore clogger with long term use – and my skin is just too sensitive to risk that happening. For longer and more seemless wear, I also like to apply primer. I made the mistake of using Hourglass with my foundations during my initial foray into primers, but since then I’ve been careful to select primers that do not use silicones that clog skin (and break me out all over my forehead). 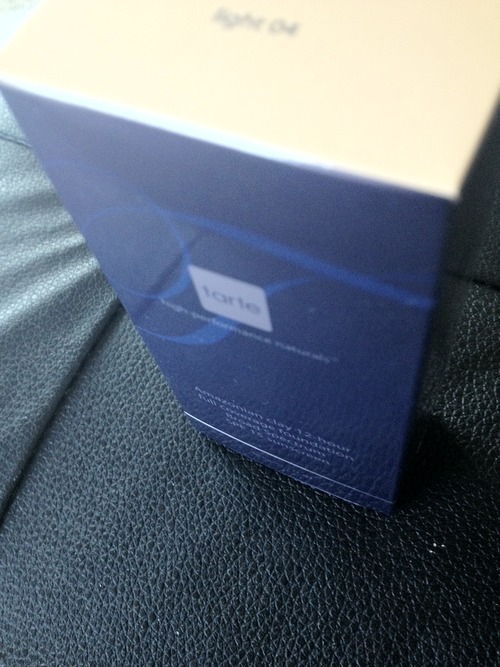 Korres has a decent performer with their Vitamin E, Silicone Free Face Primer. It isn’t as “slick” as the common ones you’ll find from MAC, Nars, Hourglass due to the lack of silicone but I do notice that foundation spreads on better and lasts longer. 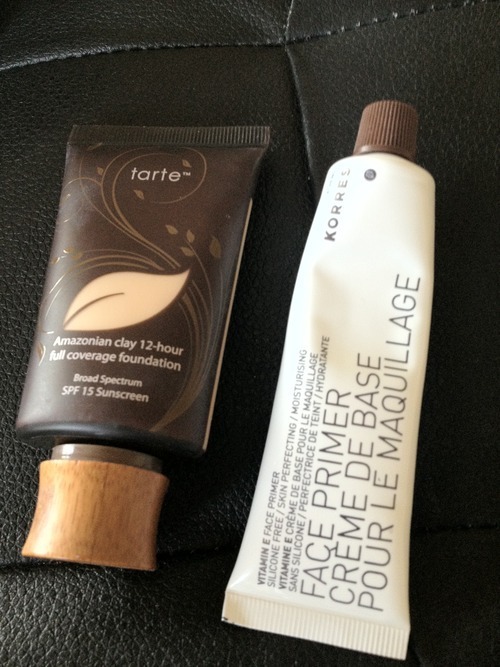 Tarte Amazonian Clay 12 Hour Full Coverage Foundation and Korres Facial Primer both do not use parabens and are oil-free. However, this doesn’t mean they’re “clean & natural”. Instead of parabens, Tarte uses an actually large concentration of phenoxyethanol, another chemical preservative. Compared to foundations from Lancome, Dior, etc. the formula isn’t bad but just know that it has more similarities with those brand formulations than differences. Overall, I have enjoyed using this as a quick and easy foundation to use. A little truly does go a long way. I think the best way to use this foundation is to only use a little, if you use more, the formula and clays might be a little “much”. For $38, this offers pretty good performance and is a good option for those of you looking to transition out of MAC and MUFHD. In my quest to clean my routine, I’ve been looking for the perfect clean primer. Primers are meant to help foundation/concealer last longer and be applied more evenly to create a ‘photoshop’ effect. Most primers use silicones which based on some studies is shown to almost suffocate skin, and be bad for acne prone skin. Although I don’t really get huge breakouts anymore, I still get a zit here and there when I try new products or change habits (like sleep patterns or travel). 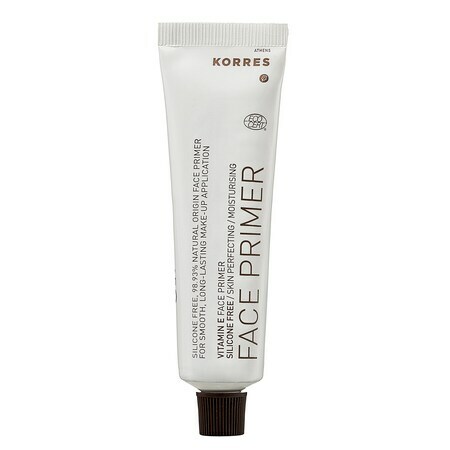 I found Korres when I did a search of silicone-free primers. The product description, “silicone-free, 99% natural, antioxidant-rich” sounded too good for me not to try so I bought a tube. The first thing I noticed was that the product comes out and applies much like a moisturizer than previous primers I’ve used which had that siliconey-slick gel feel. I loved the light citrus scent. The primer is very light-weight and absorbs fast. I’m not sure if I want primers to absorb fast as I want it to still be fresh on my skin when I apply foundation. I noticed that make-up did go on smooth but to be honest the results weren’t the same as using primers from Hourglass, Smashbox, Laura Mercier or Urban Decay. 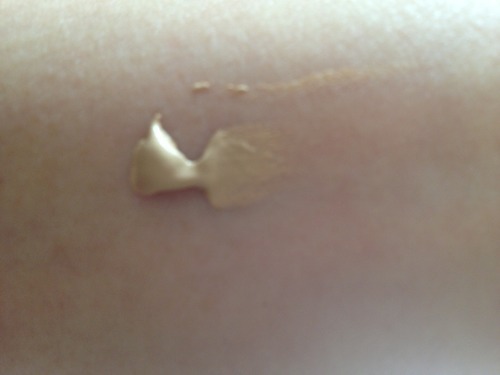 Foundation didn’t spread as smoothly, but it did make a difference and I would rather use it than not use any primer. I noticed that it covered fine-lines really well but for full disclosure, I am relatively young and do not have ‘wrinkles’, my coworker at NM calls them “first-lines” around my smile-lines. After a full work day I can say that it didn’t make my skin oily or dry and make-up stayed on pretty well. I noticed after 3 weeks of using it as my sole-primer that my skin felt softer and healthier which no other primer really does. I wish it had some SPF in there but that isn’t a deal-breaker. A tube of this will probably last me about 3-4 months. While I’m still looking for other clean primers, I will probably buy this after it runs out. 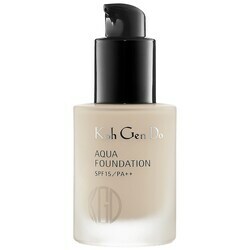 A deliciously smooth foundation from Koh Gen Do ($62, sephora.com) that is perfect for spring/summer. This light foundation goes on with medium coverage to add that ‘perfection’ without the caked on makeup look. I love that hydration is delivered through seawater minerals and botanicals. Putting it on makes me feel like I’m doing something good for my skin and not just covering it up. It stays throughout the day, but I would definitely remove and start with a clean face for re-application between day & night. Guerlain is one of my favorite brands. I first fell in love with their foundations, but as they are a little heavy for me, I’ve started playing with other products in their line. The Shine Automatique is beautiful. It is creamy, decadent, and hydrating. 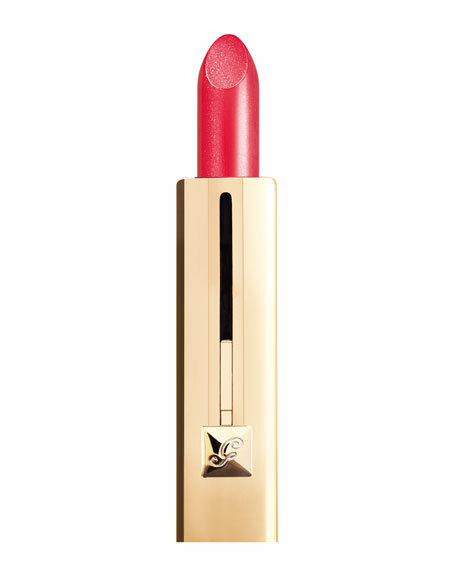 It adds shine to lips through pearl infused particles so it is rather discreet. I found this to be the perfect level for me where it was enough to stand out from a being a flat color, but wasn’t distracting at the gym (yes I put lipstick on even when I walk to the gym). The tube is gorgeous and I love digging it out of my bag. That’s it for now, next post- the cleansers I have on rotation!